Braga Confirm Hugo Viana Signing, Nunes to Sevilla? Liga Sagres runners-up Sporting Braga have made yet another reinforcement ahead of their Champions League campaign this season. 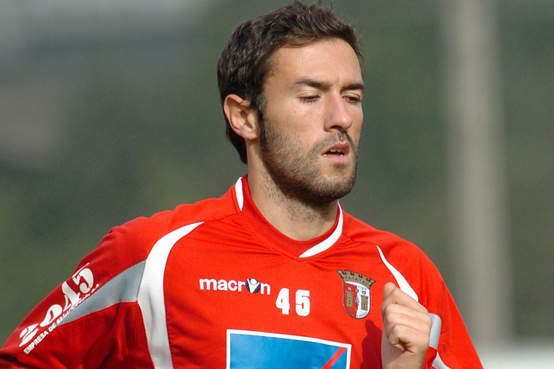 Hugo Viana, who spent last season on loan to the Arsenalistas, was Braga’s ideal purchase due to the player’s superb form last season. Viana was in great form for Braga last season, most notably scoring a free-kick against Benfica, in their historic 2-0 win. Meanwhile, in Spain, Jose Nunes is supposedly being closely followed be Sevilla FC. With Squillaci having departed to Arsenal, the Seville-based club are looking to fill his void. Nunes has apparently met with club officials to negotiate his departure. Mallorca(Nunes’s current team) finished an impressive fourth in the Liga BBVA last season, with Nunes at the heart of their defense.